Subscribe to the Monster Martial Arts Newsletter Now! Hello and great day to you ALL! and lead you to your dreams. Congrats to Master Instructor Luis Lista! Thank you for this amazing course! further to make them natural. But your statement was true. One cannot watch this DVD and read the course book seriously without having some huge realizations about the Art, and the way to practice it. practice, but wow what a change, a true “mind-shifting process”! Matrix Karate System with some people of my neighborhood, and I noticed that I can now see way better their eventual mistakes AND I’m able to propose simple and direct solutions AND show them why and how they work. That is fantastic! At my small scale this as been the most beneficial course for helping people learning the Art… and for helping me structure the way I share the practice. I even could make some valuable suggestion to a friend who is a master in a traditional Japanese Koryu… even I was surprised! Suggestions came by themselves because I was just seeing things you showed and explained in your course. the opportunity to return to it and evaluate and learn regularly from it… what a joy! and thank you for sharing with others. but teaching others is how mankind actually progresses. No teachers = no evolution. I came up with this course. and I thought everybody was doing the same things as I.
I think the first person who abused me of this was Mike Baron. and actually pushed Monster into happening. I thought he was just unaware of everybody else. and the wins started coming in. and they were finally able to see how the martial arts worked. and it changed the way I was doing things. it is changing the way other people are doing things. and thanks to all for being part of the martial arts. let me explain something about the martial arts. that deal with the actual force and flow of the universe. is an object that has trajectory. and thus with the whole universe. This leads directly to awareness. 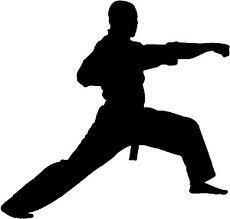 People who don’t study the martial arts are car crash victims. and they don’t understand why. This happens no where else. Go to school and your intelligence actually goes down. This is true by actual, tested statistic. until the flow of objects in this universe is obscured. have quicker and cleaner intellects. help people learn how to be aware. Do you understand how valuable you are? and you really should know how special you are. And everybody have a great work out! This entry was posted in karate, kenpo, kung fu, martial arts, shaolin, taekwondo and tagged karate, karate instructor, karate sensei, karate teacher. Bookmark the permalink.